A dependable bank is a valuable asset to many working individuals. From high security to simple checking services, the financial solutions offered by these facilities help to give their clients peace of mind about the condition of their earnings. If you live in Russell, KY, and are searching for a new bank, connect with the professionals at First & Peoples Bank and Trust Company. First & Peoples Bank And Trust Company knows their customers in Russell, KY, are best served by fast and convenient service. That’s why this bank offers in-house check printing, which ensures more accurate results and reduced turnaround time. Read on for more great benefits to be gained from quick and efficient check printing. 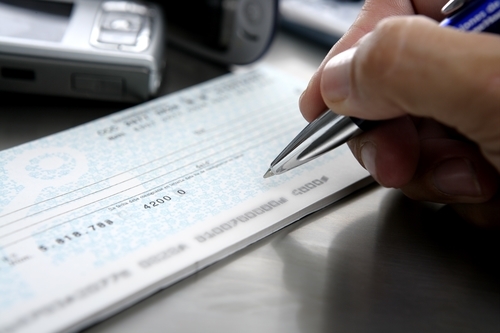 When banks work with a third party to print checks, prices are often higher due to costs such as overhead and salaries. These costs are then passed on to the consumer. In-house printing removes extra fees and ensures customers get their share of the savings. Another downside of third-party check printing is that orders are usually sent out from a distant location. As a result, it can be hard to pinpoint when your order will arrive, which can lead to blank checks sitting unattended in your mailbox. When ordering checks from First & Peoples Bank And Trust Company, you can pick them up from the bank directly. Waiting weeks upon weeks for a check order is undeniably frustrating, especially if there are bills to pay. In-house check printing allows orders to be available the very next day, meaning you won’t have to run around getting money orders or withdrawing cash to cover expenses. In some cases, checks can even be printed the same day, just ask a teller for more information. First & Peoples Bank And Trust Company believes that for a bank to be successful, it must put the needs of its customers first. Whether you’re seeking increased convenience when banking, are in search of a loan, or would like some advice on financial matters, this skilled and dedicated team is poised and willing to help. Call (606) 836-0211 today for more information on opening a checking account in Russell. You can also visit the website to learn more about ordering checks online.